A little party never killed nobody. So, today we are going to celebrate a premium WordPress design and talk a little bit about its great impact on a modern business. WordPress is the best solution for all kinds of businesses as there is an uncountable amount of incredibly stunning ready-made WordPress themes on various subject areas. 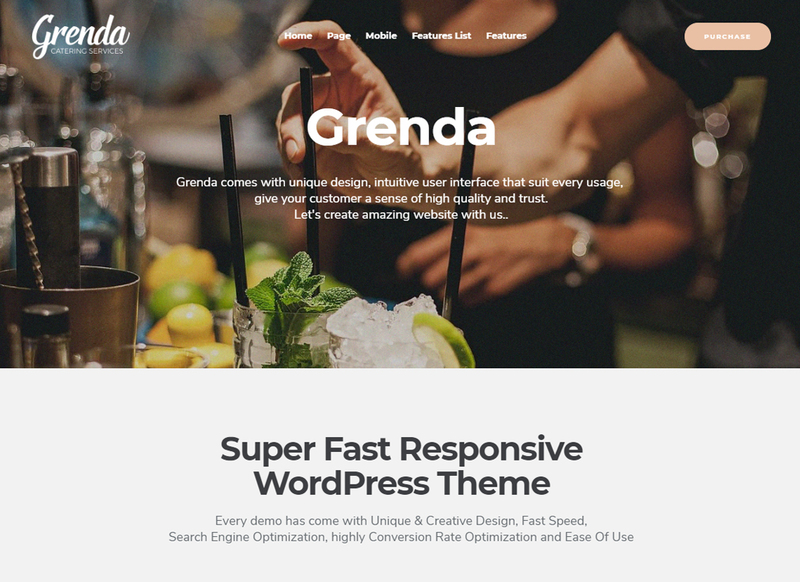 In today’s article, we would like to showcase a list of Planning WordPress Themes, as this niche requires some special theme features, without which no income-generating activities are possible. First of all, make sure the theme you pick is not has an apple-pie look, but also guarantees a compatibility with premium WordPress plugins. In terms of the event management company, possession of such plugins as a Booked Appointment Plugin, Events Calendar, and Online Cost Calculator is crucial. Since it is these features make it possible to transfer your business to the Internet space and start selling services online without further delay. Another important paragraph to focus on is a product provider. Choose themes created by well-known providers for ensuring you get high-quality professional support. Please, do not underestimate the theme support part, as any technical issues can cause significant problems with a project launching. We hope, you will find some interesting pieces in the following list and would appreciate reading your thoughts in the comment section. 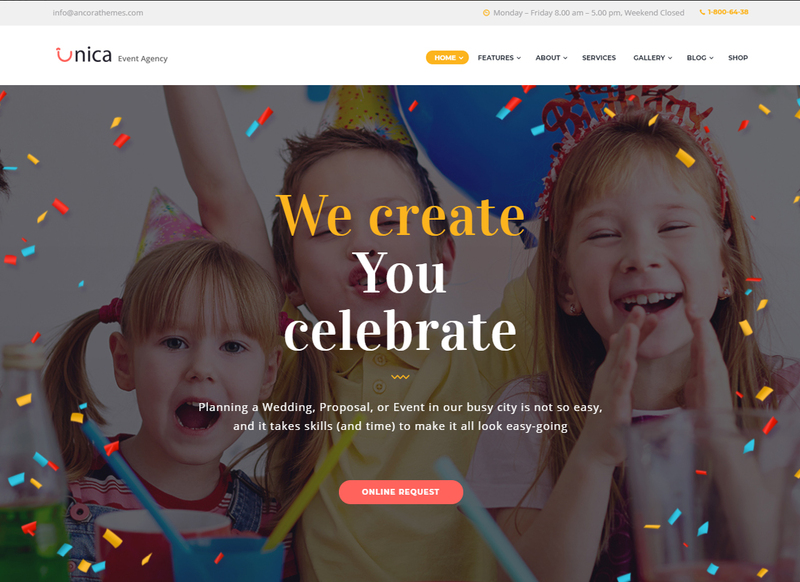 Take your event planning business to a whole new level by launching a website with this super stylish and colorful WordPress theme. It was created fully Woocomerce-ready, so you will easily turn your website into the online gift store. The theme includes two homepage layouts, allowing you to give all the necessary information about any kind of service or product you are offering. 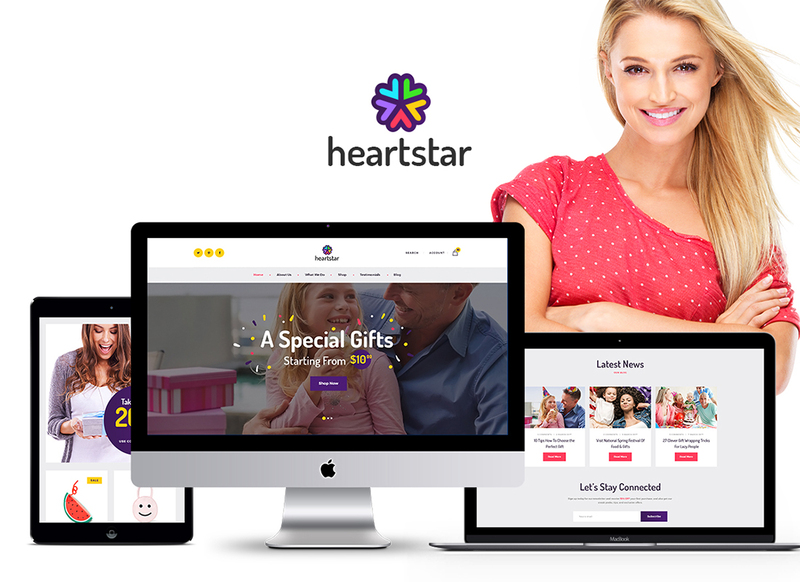 HeartStar theme comes with various attractive galleries & blog layouts, in order to help you in creating your beautiful online portfolio. 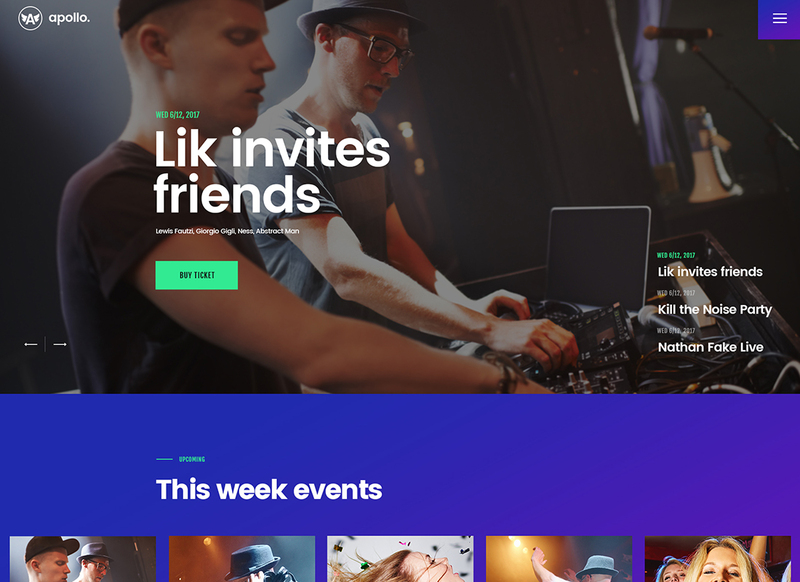 Meet the vivid and functional design of PartyMaker theme. This one is totally responsive and Retina-ready, that makes your website look preeminent on any device your visitors use. The themes core features list include drag-and-drop builder and highly-optimized HTML code. To boot, it comes compatible with a variety of premium plugins, such as WPBakery and Slider Revolution, which simplifies the process of the web design creation. At the top of it, you get a bunch of shortcodes, using which you can build a website of any complexity. It doesn’t matter if you are familiar with the web development, as there is a pack of theme documentation that you can use to simplify all the processes. Let your visitors enjoy the festive atmosphere from their first visit. Unica theme has 4 Homepage layouts that you can switch pursuant to the size and specificity of your company. Each layout is flexible and easy to maintain, as the theme has a handy Visual Composer and a pack of Shortcodes. These two tools ensure the sleekest and fast web content establishment. Unica theme comes with an SEO-friendly code, which makes it simple to get the best positions in all popular search engines. Also, it has amazing navigation options, including different menus and sliders, which will impress your audience with gorgeous CSS3/jQuery animation effects. Wedding planning is a kind of service that requires a touch of elegance and beauty at every stage of its process. That is why a graceful look of the planning agency web page is so important. 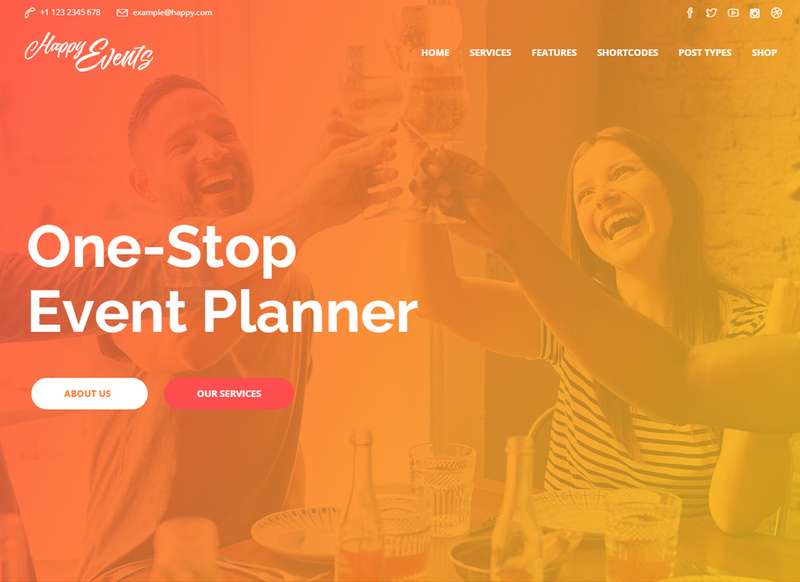 Plan My Day theme comes with several pre-built Homepages, that suit perfectly for this kind of business. Its layout is fully-responsive and adjustable, as flexible colors, Fontello icons, Google Fonts, Visual Composer, and other incredible features are included in the pack. Moreover, the theme has a WooCommerce support, so you can sell your services right through the website. You can make your business even more efficient, as WPML support helps to avoid translation problems and deal with foreign clients. There is nothing wrong about being a foodie. What is more, it has already become kind of modern trend. 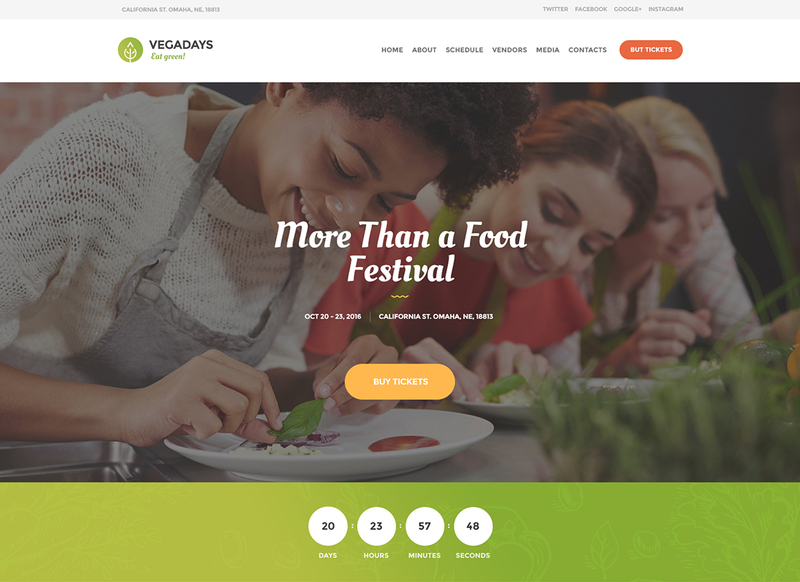 So, if you still have any doubts concerning the profitability of the food festival arrangement – grab VegaDays theme and get benefits right away. It has a fresh and simple design, that adjusts to all devices with different screens. It is compatible with the most of the popular browsers, such as Safari, FireFox, and Chrome. Moreover, you will get lots of custom shortcodes and custom widgets, so you can build a website look with ease, adding different content and page elements via page builder. Love inspire people to do some incredible things. 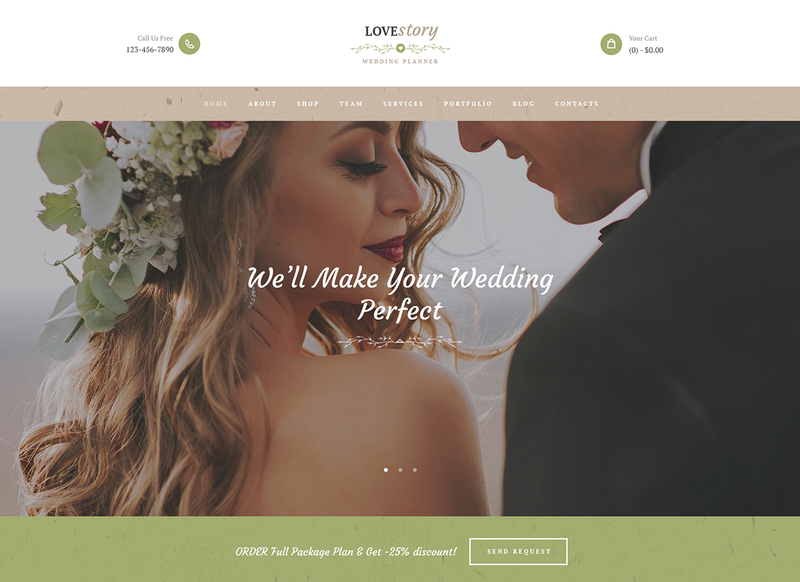 Love Story theme was made with care and deep understanding of the latest web design trends and standards, which turns this theme into an effective ready-made web tool. Thanks to the valid and clean HTML and CSS code you get the best performance ever, as your template meets standards of premium web development. It comes packed with a bunch of elegant pre-made pages that you can use instantly, without wasting a lot of time on the content creation. Each page suits perfectly to the whole wedding topic. This theme is fully responsive and will provide your visitors with the best mobile appearance. 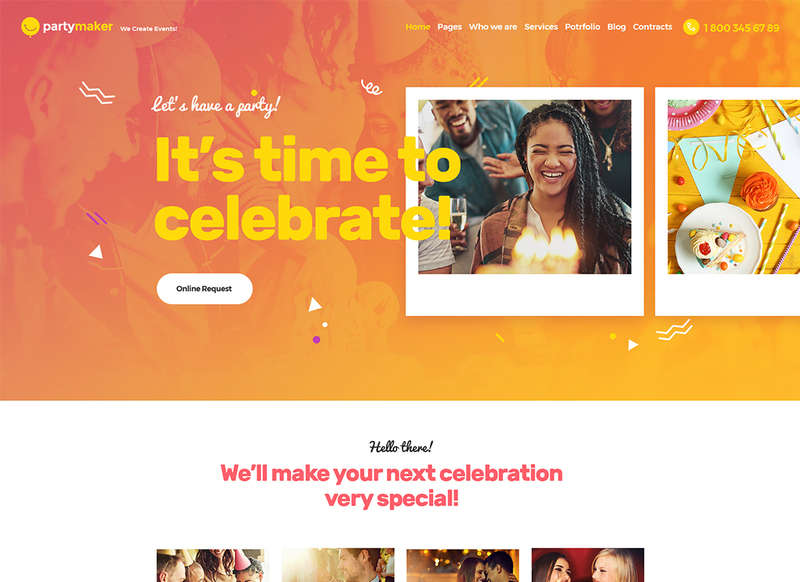 Apollo theme has a bright and convivial look that will make your visitors want to party. It offers you lots of custom options provided by shortcodes and various page builders, so you can fill the website with some fascinating content. You can organize schedule using the Events Calendar plugin, demonstrate photos of the amazing parties with Essential Grid, promote artists and performances on a powerful Revolution Slider. This theme comes compatible with WPBakery page builder, which allows you adjust the website look without touching a code. You won’t need to search the web for the updates, as you get regular updates packed with this theme, which significantly simplifies life. Are you running a catering company? Pick a Royal Event theme to make it popular and effective. Its clean skin will serve great as a background for the yummy photos of dishes and cocktails. Besides, you will be able to organize a beautiful gallery with a Swiper Slider function. There are lots of Google Fonts included, so you can make your webpage look unique and stylish. Plus, you get this one with an Ajax Search mechanism integrated, meaning your clients can always find any information in a few clicks, as they will see the search results while the request typing. Also, you can always use a theme documentation or ask for a professional assistance of a support team. Event planning is quite a deal, especially, if the event is a wedding party. Wedding Day theme is perfect for those, who want to stay organized, still, make sure everything looks neat and elegant. This theme supports WPBakery page builder, which will help you to organize all the website content quickly and simply, as it requires no coding skills at all. You can demonstrate lovely photos of your romantic photo shoot in a beautiful gallery. Also, there is a blog section, which allows you to tell the love story to your guests. It comes with a Media Content Manager, so you can organize the website content wisely. Moreover, there is a pack of the theme documentation included, so you could rapidly fix problems if any. Jarvis theme has a modish design and provides users with a vast functionality. 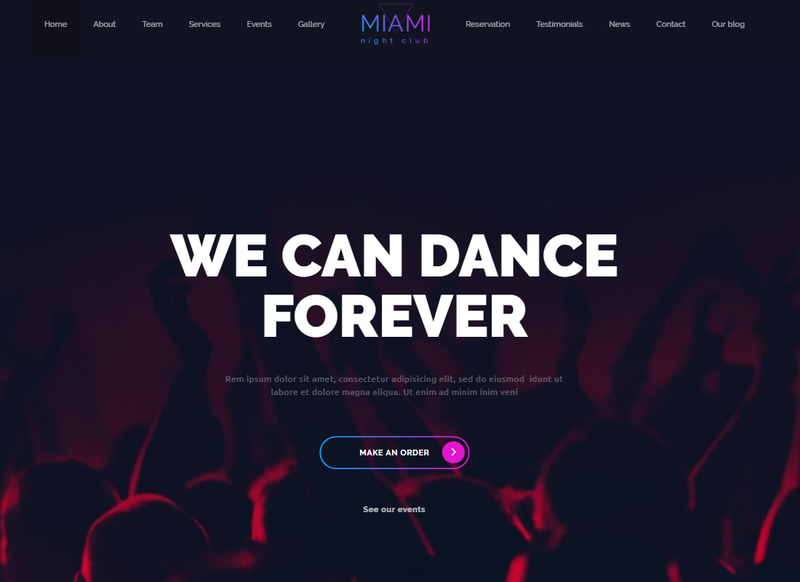 There are 2 Homepage layouts included, which perfectly meet the nightclub representation needs. 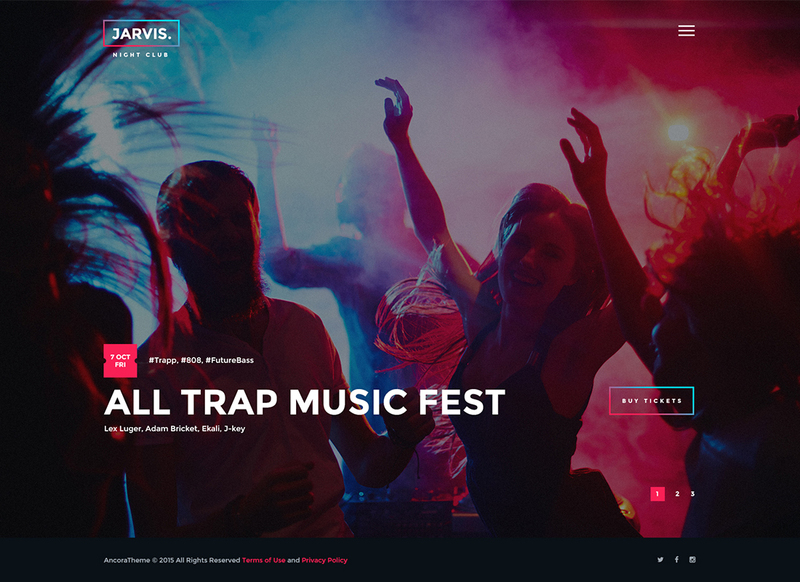 With this theme, you can promote your artists, organize a schedule, and sell DJs sets, and such plugins as Essential Grid, Booking Calendar, and WooCommerce will help you with that. The installation of this theme requires a single click of your mouse. Moreover, with this theme, you will always stay up to date and ready to meet new web design standards, as this one is regularly updated. The theme layouts are Retina-ready and fully-responsive. Of course, it is fully customizable, as well. Blow up the Internet with this vibrant and dazzling WordPress theme. All the theme data is easy to import, and even more easy to customize, as it comes packed with a Visual Composer and 24 built-in shortcodes, that allow you to adjust your website using drag-and-drop capabilities. Use advanced gallery options to demonstrate photos, videos, and other kinds of content. Enable access to your social media accounts with Social Media Buttons and Feeds. You can use a variety of combinations for the theme customization, make your website look unique with Google Fonts, change the background color, customize titles, run a fascinating blog, and proceed with other manipulations. 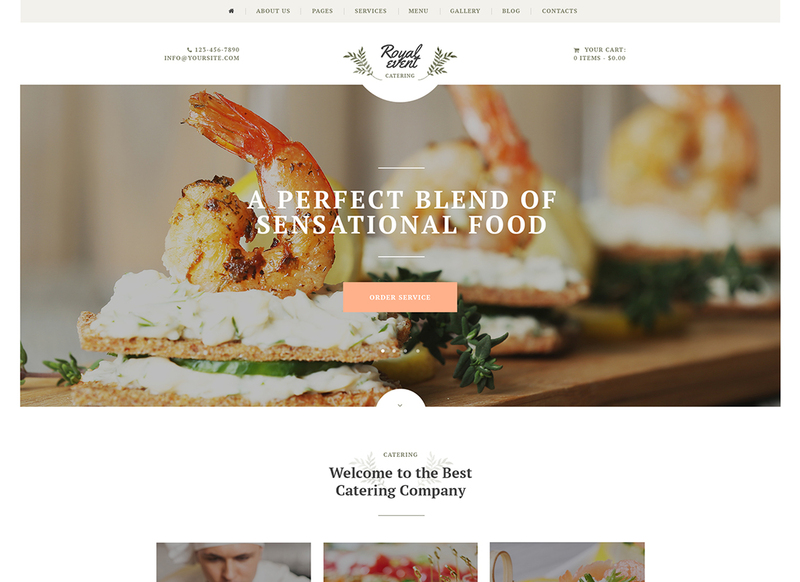 This theme has 2 graceful and delicate Homepage skins for your catering company. Use it to represent your agency and boost sales. This theme has a well-structured code in its base, so you will experience the high level of visitors conversion. Use a grid style to make your webpage look tidy. It has unlimited Color Options, so you can design the website in accordance with the philosophy of your company. To boot, you can build the whole web design without paying a penny to web design agencies, as the WPBakery page builder allows you to adjust the page without knowing a line of code. Import this theme in one click and you will get lifetime updates and endless opportunities. 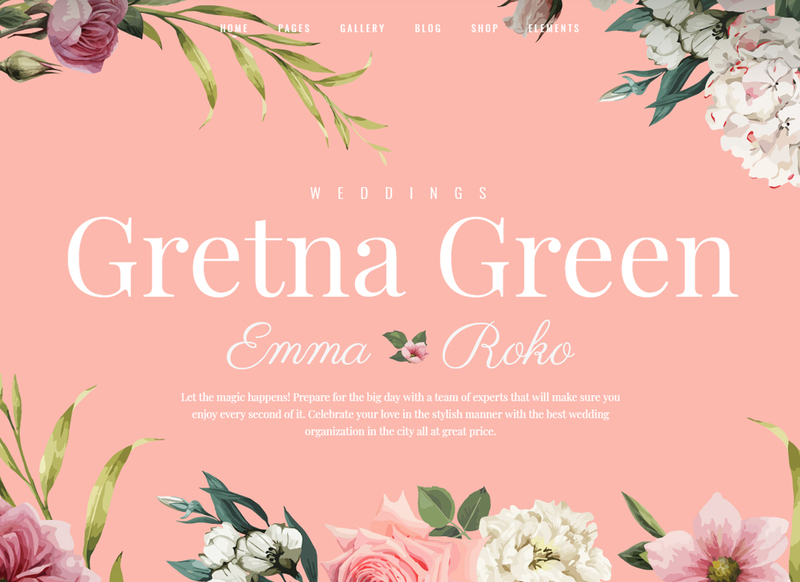 Gretna Green theme comes with lots of beautiful inner pages aimed to stun every single visitor from the first sight. With this theme, you can organize a portfolio, launch a blog, or start selling products and services using an extremely stylish and capable e-shop layout. Compatibility with WooCommerce helps you to sell efficiently from the first day of your online activity. It comes equipped with a bunch of shortcodes, so you can diversify your page with various content types. It has a customizable Mega Menu and a “Back to Top” button, meaning, you establish a smooth and simple navigation for your clients. They can use it via a mobile device, as the page and web elements adjust precisely to different screens. Let’s help your customers organize their holidays and events. 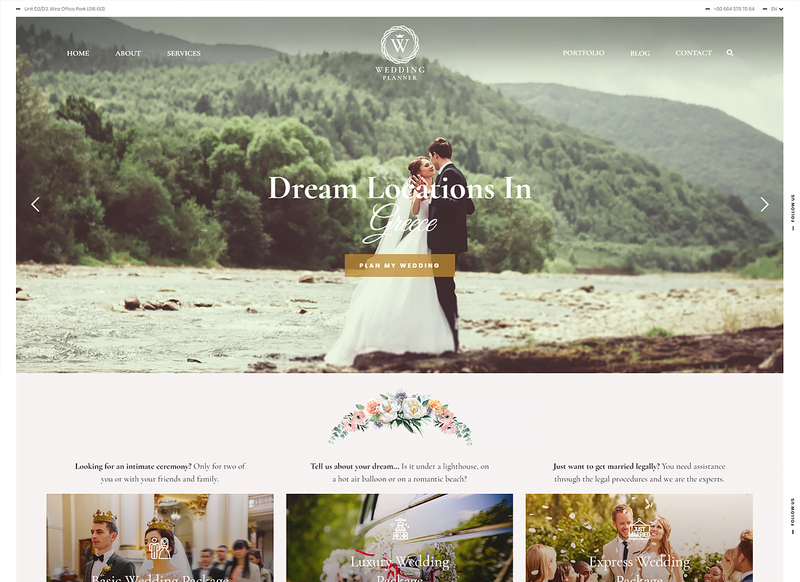 This theme includes different premium options provided by WooCommerce, Event, Instagram, and other plugins. Your clients can always calculate the cost of all services without making calls. Using gorgeous blog layouts you can share useful tips, thusly boosting the SEO level. Also, there is a Content Composer and Shortcodes, which you can use for the theme customizations. The theme includes Layer Slider and Revolution Slider, so you can make your content look presentable and catchy. There are lots of Google Fonts integrated into this theme, which you can use anywhere on the page and change its appearance completely. 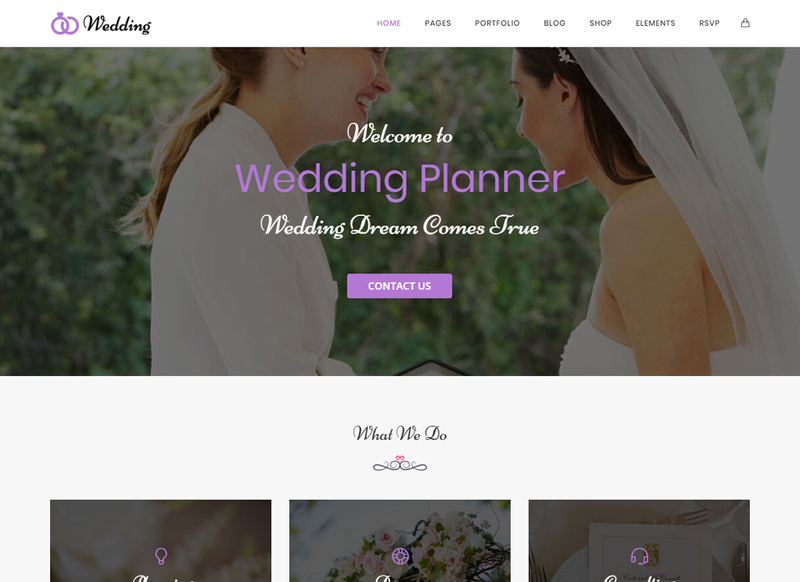 Spread love and tenderness with this online wedding planner. It has a minimalist design, that is super-easy to customize and fill with some amazing personal content. 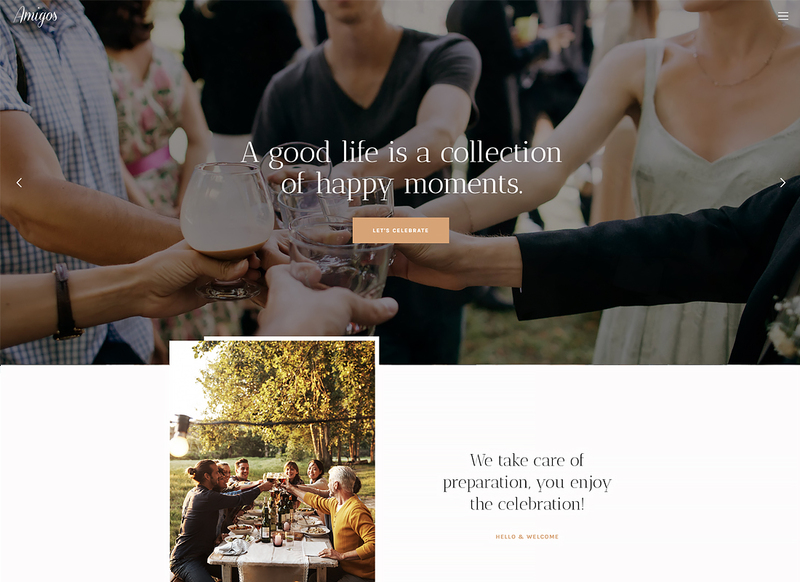 The story of your relationships will look amazing on a stylish Blog Masonry Layout. To boot, you get this theme with a Parallax animation option, which not just makes your website look more entertaining, but also ensures a smooth scroll effect. It is compatible with different plugins, including Visual Composer, that comes very handy in terms of the effortless web content creation. It comes with 3 different Font Icons and gives you an opportunity to demonstrate various content using such post types as Standard, Video, Gallery, Music, Image, Quote, etc. A special day planning demands a special tool. 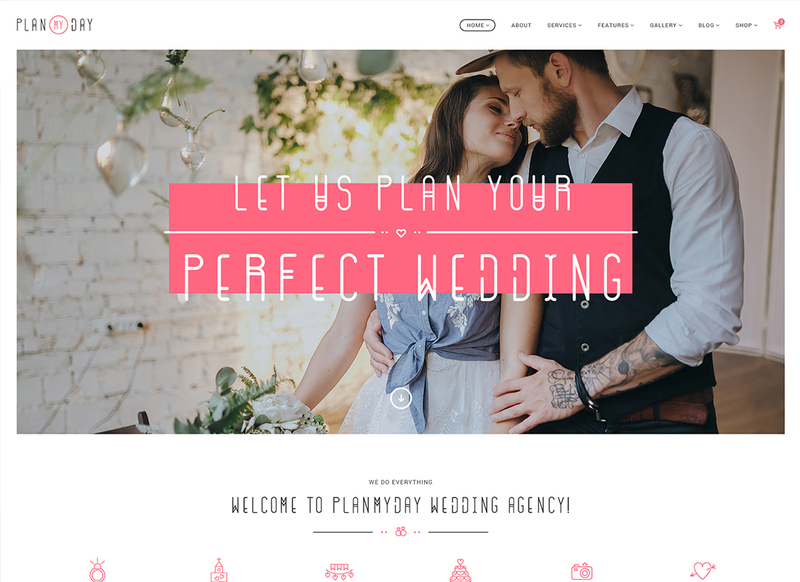 This theme is a special one, as it has lots of options to help all the web design amateurs to make their website look fashionable and professional. You can adjust any website area using Sticky Header and 4-column Footer options. Also, establish a well-structured menu with Mega Menu and Sticky menus support. Speaking of support, you can always contact a friendly team of professional web designers and developers that will help you with your issues at once. Its responsive layout looks preeminent, no matter if your clients use a desktop or a mobile device – all images, text, and other elements adjust perfectly. We all want to capture the happiest moments of our lives, and this theme is included in this list to help you with that. It has a gorgeous clean design that won’t distract visitors from the actual event. There are some beautiful gallery portfolio layouts, using which you can organize your photo content in the most beautiful and interactive way. 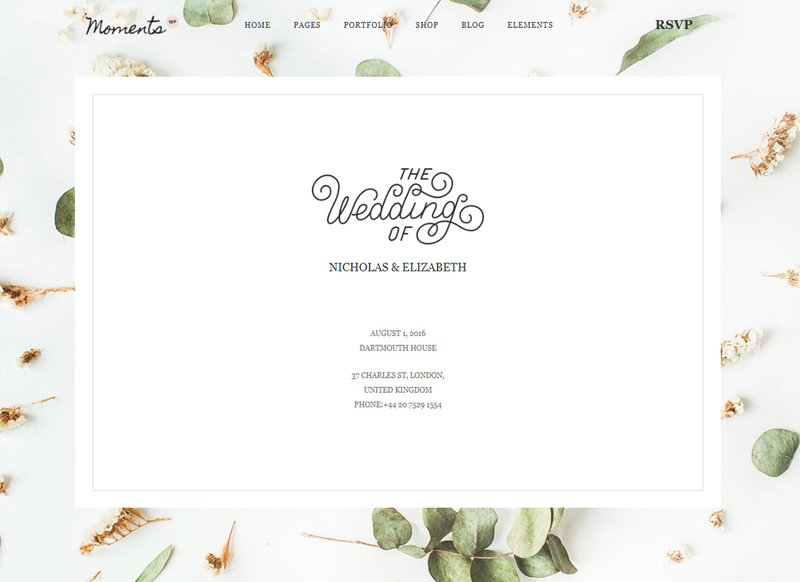 This theme provides you with some elegant and carefully-designed online invitations, so you can announce your wedding stylishly. Its key features list includes endless color and font options, compatibility with WooCommerce and Visual Composer, free Revolution Slider, one-click theme demo import, 18 unique Homepages, and other incredible features. Planning meeting or a conference? Use Meeton theme to make this properly. Introduce speakers with a Revolution Slider, which lets you introduce speakers, promote events, and make your content look organized and memorable. This theme has lost of shortcodes that you can use in a Visual Composer, thusly avoiding any interaction with code. The theme has Speaker Pages, so the information will look much more reliable. Also, it comes integrated with a Program/Time Schedule, so you can create a timeline in a matter of minutes and visitors aware of further conferences. It won’t be a problem to sell courses and tickets via the website, as this one is compatible with WooCommerce. 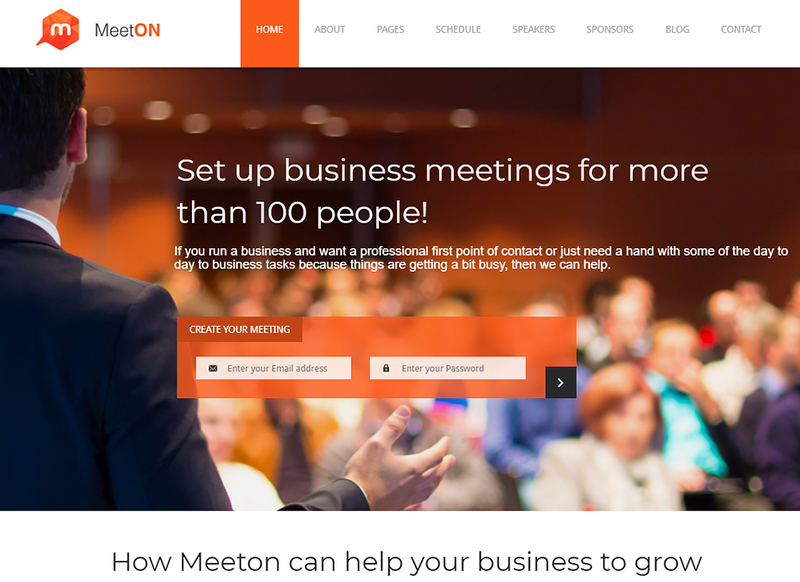 This theme is suitable to plan and manage meeting and events. The theme has an amazing pack of documentation included, so you have a step-by-step guide that covers all processes from the installation to the actual website launching. It has lots of pages, such as Services, Pricing Plans, and Event Planner. The theme includes Schedules page, so your business will look organized and competent. One of its special features is an Appointment Form, which allows your visitors’ book consultation in accordance to the schedule via nifty booking form. 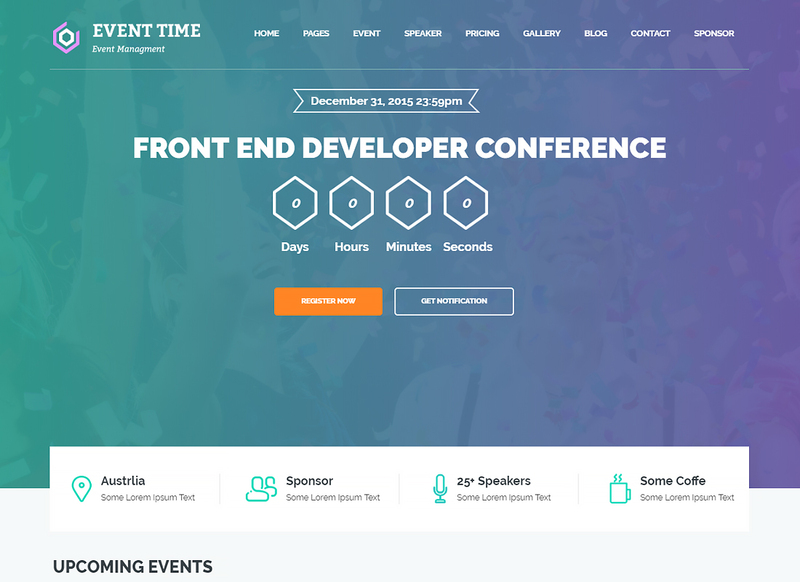 Event Time theme has a strong backend, supports a variety of premium plugins, and establishes a cutting-edge mobile performance. 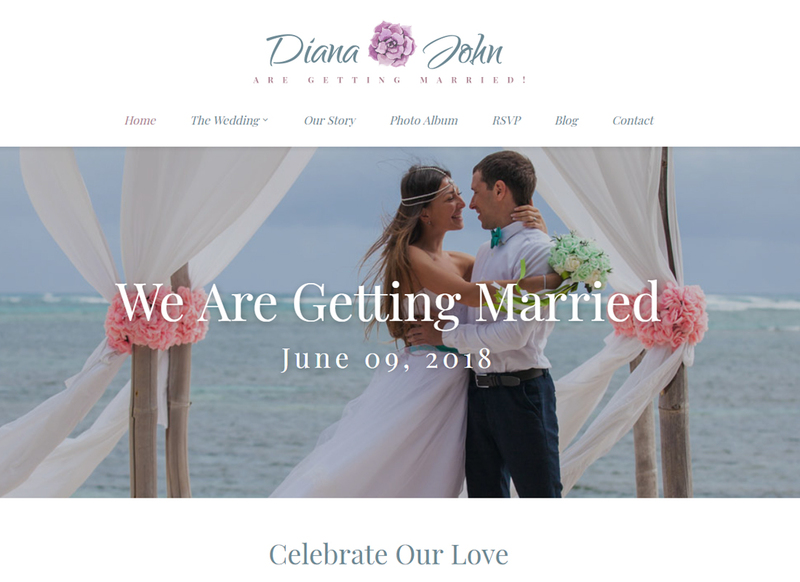 Here is a sweet and dainty online wedding planner that will make you stay calm during the most exciting day of your life. It has a trendy and feminine design, that supports different post formats. Also, it has lots of pre-built pages, that fit amazingly well with the wedding subject. You have a lot of space for creativity, as there are a different blog and gallery styles available for use. Its premium functionality enhanced by means of Visual Composer. It includes 40 elements that you can use and save lots of time and efforts. To boot, you get 700+ Google Fonts that are ready to help you make your page look exclusively graceful. 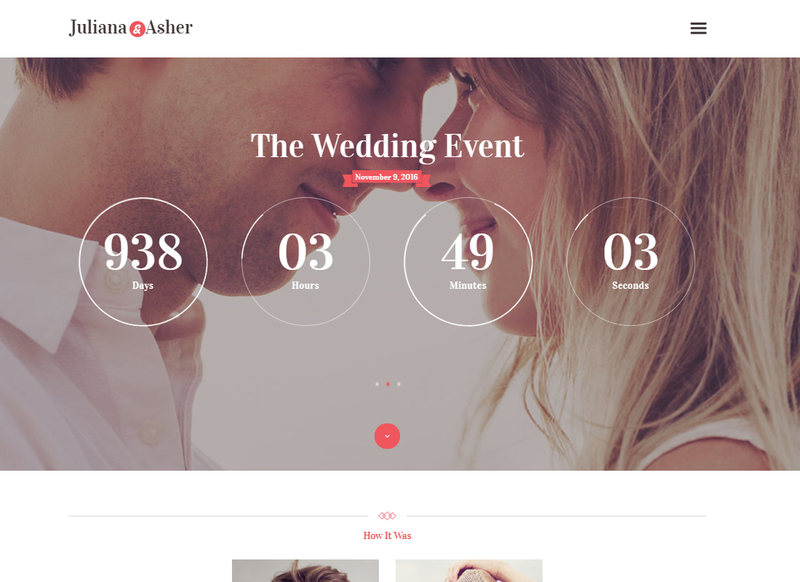 Pick this theme to boost your event management agency with a premium online platform. Amigos theme is great to plan birthday parties, organize a celebration of special occasions, promote conferences and corporate meetings. It has multiple looks of the Home Page layouts to choose from. Making schedules is an important part of the events management companies, and this theme comes integrated with an Events Calendar plugin. Also, it has a Budget Calculator, which is a useful online tool that makes it possible to calculate the cost of services and appointments online. Demonstrate photos, services, and other engaging information using this creative WordPress Theme.